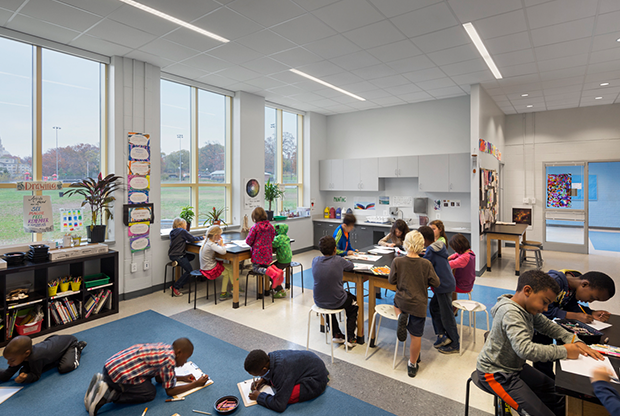 The Charter School Incubator Initiative (CSII) at Shaed Elementary called for the full modernization of an existing decommissioned DC public school building that would initially be split 30:70 to serve as a temporary incubator space for the newly formed Lee Montessori charter and the permanent home for the Center for Inspired Teaching Demonstration School, an established charter focused on improving instruction and student learning. 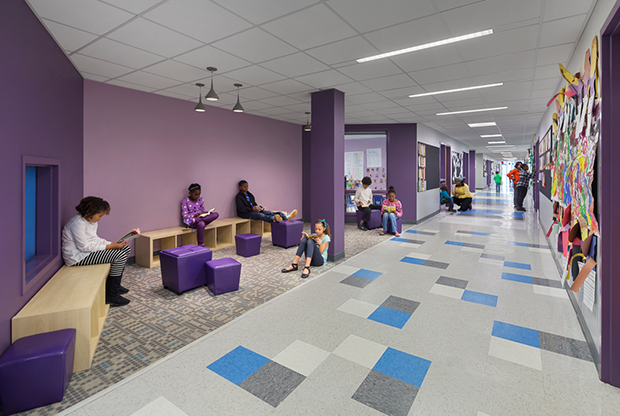 Co-location of these charters called for establishing two distinct identities under one roof, but in a way that could still feel like a single school as the Inspired Teaching School grew incrementally by adding grades until it occupieto fill the entire building. 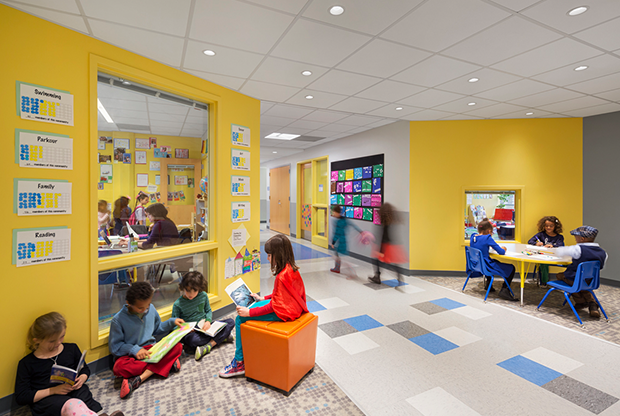 Our design sought to support active learning in both formal and informal educational settings tailored to the needs of Inspired Teaching's inquiry-based, progressive educational model. 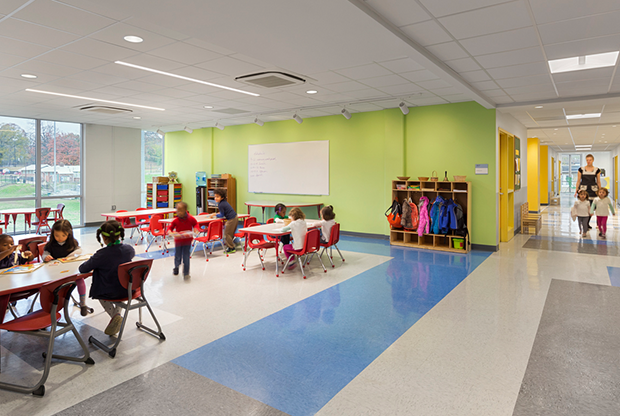 As a demonstration school, one of the tenants needed classrooms capable of supporting a robust range of experiential teaching and learning strategies. The existing school building had very limited access to view and daylight. 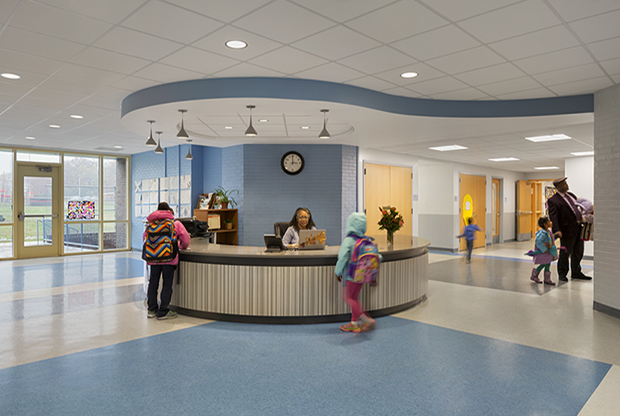 All windows in the building were replaced, and new openings were provided in strategic locations to maximize daylight and better connect the school to the community, making it a more welcoming and friendly facility.